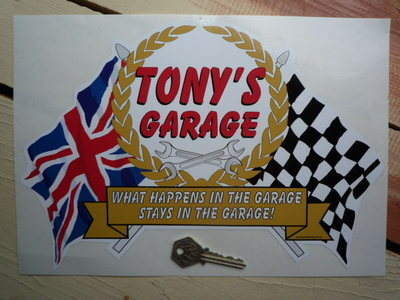 PERSONALISED Workshop Garage Flag & Scroll Sticker. 12". 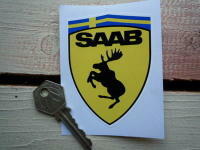 A brilliant, machine cut to shape, personalised garage or workshop sticker. 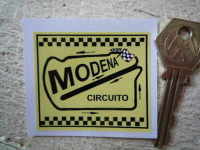 We personalise and make them individually just for you, so you can specify just what you want written on the sticker, they make great gifts and are really unique. Have your name, friends name, favourite car, bike, etc... written across the garland centre. Then choose a phrase that means something to you or your mates, or create your own slogan, to go across the banner section at the bottom. 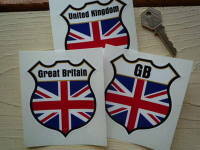 Also available with most other common flags instead of the Union Jack. Just ask when ordering, or if you want to check that we can do the flag you need then use the 'Contact us' page to ask us before you order. Just tell us what you want on it when you order and we will do the rest. 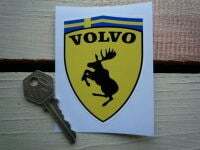 Sticker measures approximately 305mm x 200mm, and machine cut to a torpedo shape. 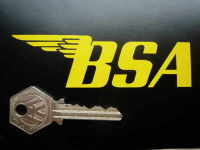 BSA Cut Vinyl Angular Style Gas Tank Stickers. 4" or 5" Pair. 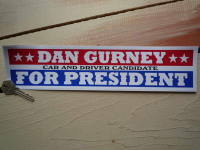 Dan Gurney For President Car & Driver Sticker. 12".